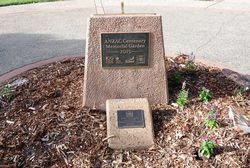 The ANZAC Memorial Garden and Centenary Walk commemorates the centenary of ANZAC and those who served in World War One. 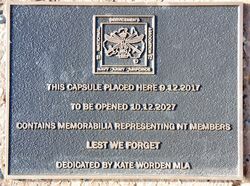 The Northern Territory Australian Army Cadets designed the new memorial garden area which includes a unique sundial, signifying timelessness and a strong link to the ANZAC theme of Lest We Forget. The pathway leading up to the Darwin Cenotaph in both directions, is now officially named ANZAC Centenary Walk.